Make your travel through airport security a breeze by knowing the do’s and don’ts in airport luggage and packing. We’ve compiled a list of what is and isn’t allowed with your carry on luggage. Airline rules for what is and isn’t allowed in your carry on luggage are constantly changing, but the biggest question we hear when traveling is what size liquids are allowed to travel with you. Containers of liquids, aerosols, and gels must be 100ml (3.4oz) or less, and should be contained in a 1L clear, re-sealable bag. Note: If you’re traveling with contact lens solution, baby formula or food, or necessary prescription or non-prescription medicine (such as cough syrup), or liquids required for the treatment of an injury or diabetes, the carry on baggage restrictions for liquids and gels are lifted. Don’t forget things like liquid foundation or eye makeup remover if you’re throwing your makeup bag in your purse to be carried on to your flight. Other items you may have in your pockets or purse that you might not think of as dangerous, include lighters, any all-purpose utility gadgets, including cork screws or nail files. What should I pack in my carry on luggage? Cash, travellers cheques, all credit cards, and any important business or personal documents you are travelling with should be kept in your carry on luggage in case your luggage is delayed or goes missing during your flight. Medications should always be kept I your carry on baggage, in case of an emergency, and in case of lost luggage. Electronics are often small enough to fit into your carry on luggage and should be with you on your flight so they don’t get damaged in your checked baggage, which is often tossed around during loading and flight times. Any and all valuables should be safely packed in your carry on baggage in case of lost luggage. Be sure these items – ie. jewelry – are packed safely in a secure, zippered pocket of your luggage so they don’t fall out while removing other items you may need during your flight. We recommend travelers also have a change of clothes in their carry on baggage in case of lost luggage, or to freshen up after a long flight and arrival in destination. Sweaters or articles of clothing can also be used to pack electronics or other items for extra padding and protection in overhead airline bins. How big of a bag can I take? 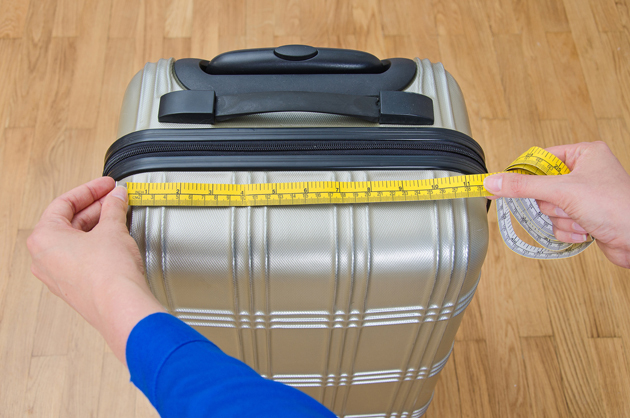 One of the biggest – and costly – rules of airline packing and carry on luggage is the size restrictions. Most airlines restrict travellers to one carry on bag, in addition a personal item. These size restrictions differ with the airline, though most allow a standard item with a maximum weight of 22lb or 10kg. Air Canada, for example, has restrictions in place for carry on baggage: the maximum size of your bag is 23cm x 40 cm x 55cm. This includes any wheels or handles that may be on your luggage. Most airlines will require you to check any baggage that exceeds the carry on baggage restrictions, which may result in extra fees. To ensure your bags do not exceed the allowed limits, the majority of airports include scales and sizing carts near the check-in counter to ensure your bag is within the required limits. In addition to restrictions on your carry on bag, your checked luggage will also need to adhere to airline-specific baggage allowances for size and weight. What is a personal item? In addition to your carry on bag, you’re permitted to travel with a personal item. This might include a laptop bag or briefcase, camera bag, airport shopping purchases, a lady’s purse, or a pet in a small carrier. The average size requirements (maximum) is 16cm x 43cm x 33cm. If you’re flying with an infant, an extra bag of infant care items (i.e. diaper bag) is also permitted, in addition to your carry on bag and personal item. For other items, like travelling with a stroller or car seat, visit your airline’s website for specific requirements and allowances. 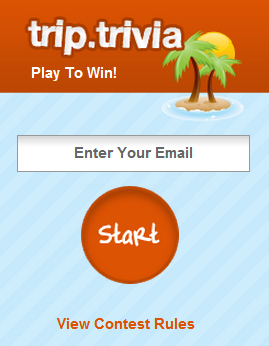 Thank you for all the helpful tips, and prompt e-mails concerning our trip. Also for the time that Susan Kristjansson spent with us ,getting our holiday plans in place. Apparently don’t take a Jetboil through Calgary either. Gtande Prairie or Toronto is fine. Just not Calgary. This information really help me, because this is my first vacation and travel. We’re happy to help, Jacqueline! Where are you going for your vacation? I think it odd that you can carry alcoholic beverages on a flight but not a soda. My particular daily soda is Sundrop (which doesn’t come in the specified size for a liquid food item), not available in most states out of NC. thanks for the opportunity to reply!